Senate: Steve Hoffman, Sam Wright, Mike Luke, Clint Tannehill, Roque “Rocky” De La Fuente, Charlie R. Jackson, Jon Butler, Mohammad Said, Don L. Rivers, Keith Swank and Dave Bryant. County Commissioner: Dist. 2, Rob Chase, Mary Kuney; Dist 3, Robbi Katherine Anthony. Washington’s U.S. Senate race got crowded in a hurry Monday, as 11 challengers filed to run against incumbent Democrat Maria Cantwell. The field so far includes three Democrats, three Republicans, two independents, a Libertarian, and a representative of the Human Rights and Freedom Socialist parties. Several are perennial candidates who regularly run for office but seldom survive the primary. The group includes Democrat Mohammad Said, an Ephrata physician; Libertarian Mike Luke, an Edgwood businessman; independent Charlie Jackson, of Anacortes; and fisheries specialist Sam Wright, founder of the Human Rights Party, who all ran for the other Senate seat in 2016; and Don Rivers, who ran for a U.S. House seat that year. Also jumping into the Senate race is Republican Rocky De La Fuente, a California businessman who ran unsuccessfully for the GOP presidential nomination that year. He can run for the office because the law only requires he be a Washington resident upon taking office, Erich Ebel, a spokesman for the Secretary of State’s office said. 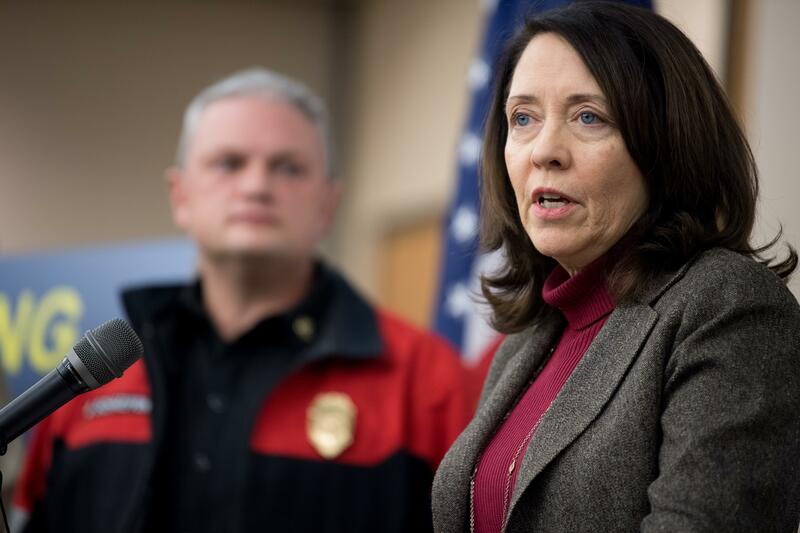 Cantwell is expected to file her paperwork later this week. Candidate filing ends when elections offices close Friday afternoon. In Spokane County races, Democrat Robbi Katherine Anthony filed for the commissioner seat currently held by Republican Al French, who is expected to seek re-election. Anthony, a transgender woman who owns a pair of businesses in Spokane, said she wants to bring fiscal responsibility to the county. “I think the county is ready for a little bit of a change,” she said, adding she’d bring a sense of diversity and some new ideas. Two Republicans filed for the other commissioner seat: incumbent Mary Kuney, who was appointed to the seat by Gov. Jay Inslee last fall to fill a vacancy, and Rob Chase, who is currently the county treasurer. That leaves the treasurer’s seat open, and Republican state Sen. Michael Baumgartner filed for that post. Incumbents filing for re-election to county office included Auditor Vicky Dalton, a Democrat, as well as Clerk Tim Fitzgerald, Prosecutor Larry Haskell and Sheriff Ozzie Knezovich, both Republicans. Leonard Christan, a Republican, filed for the open assessor’s seat. Published: May 15, 2018, midnight Updated: May 15, 2018, 11:22 a.m.